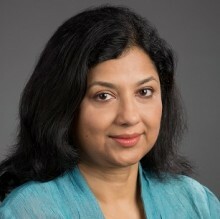 We are pleased to announce that Dr. Susmita Datta has joined the University of Florida Department of Biostatistics as part of the university’s preeminence initiative in metabolomics. Dr. Datta comes to UF from the University of Louisville Department of Bioinformatics and Biostatistics where she was a University Distinguished Scholar and Director of the master’s and Ph.D. programs. She brings her nationally and internationally recognized research experience and expertise in big data science to UF with the goal of developing a diverse interdisciplinary research environment. A member of numerous scientific associations, Dr. Datta’s work has been widely published in peer reviewed biostatistics and bioinformatics journals and continuously funded by the National Science Foundation and the National Institutes of Health. We are enthusiastic about the opportunities Dr. Datta will provide our department for continued excellence in education, research and service. Dr. Datta an elected fellow of the American Association for the Advancement of Science (AAAS), an elected fellow of the American Statistical Association (ASA), and an elected member of the International Statistical Institute (ISI). Her major research areas include; bioinformatics, genomics, proteomics, clustering and classification techniques, infectious disease modeling, statistical issues in population biology, systems biology, survival analysis, multi-state models and big data analytics. Dr. Datta is enthusiastic in promoting women in STEM fields and has served as President of the Caucus for Women in Statistics (CWIS) and is presently appointed to the Committee of Women in Statistics of ASA (COWIS).